Triple Olympian Lee McConnell and world indoor 4 x 400m silver medallist Jamie Bowie helped fly the flag for Scotland at the Emirates Arena ahead of the Sainsbury’s Glasgow International Match which takes place at the venue on 24th January. A home team from Scotland will compete against Great Britain and Northern Ireland, France and Germany at the first elite track meet of the 2015 British indoor athletics season. It is only the second time in the long history of the Glasgow indoor event that Scotland have competed as a team, following a fine first performance in January 2014. There is a youthful element to the selection for Saturday 24 January but a number of those who represented Scotland at Glasgow 2014 will be in action – like Bowie. 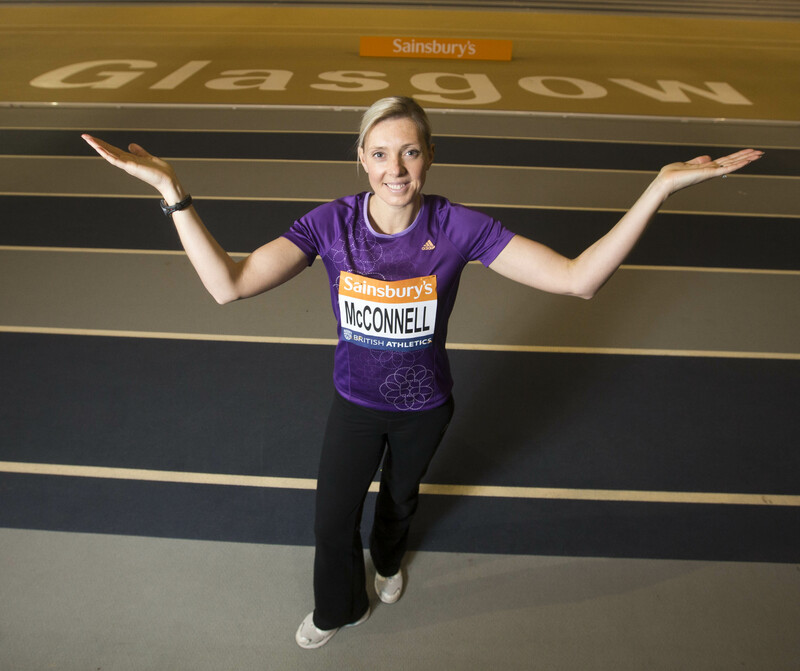 ‘I believe the Sainsbury’s Glasgow International Match will be a really exciting meet, with Scottish and British teams competing on the track for the first time in 2015,’ said McConnell, now retired. 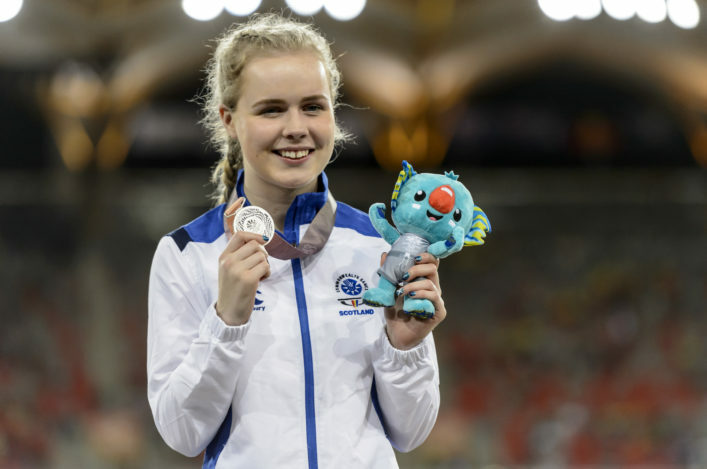 ‘As a Scottish athlete I was proud to see the enthusiasm of the crowds at the Commonwealth Games last summer and this is another fantastic opportunity for people to come and watch top international athletes competing in Scotland. ‘I always really enjoyed racing indoors in Glasgow, in front of the Scottish crowd, as it gives you a huge lift. Bowie is one of nine of the team from last summer’s Commonwealth Games who will line up for Scotland at the Glasgow meet that day. ‘I’m really excited to be competing for Scotland at the Sainsbury’s Glasgow International Match,’ said Jamie. ‘I have brilliant memories of the home support at the Commonwealth Games last summer, so to race again for my country in Glasgow will be a really special way to kick off 2015. The 2014 Sainsbury’s Glasgow International Match saw fantastic displays from the Scottish contingent with Guy Learmonth, Laura Muir, Chris O’Hare and Libby Clegg all recording victories to the delight of the home crowd. British Athletics Major Event Director, Cherry Alexander, said: ‘The Sainsbury’s Glasgow International Match has a long history of bringing top-class athletics to the city, and I’m sure it will be a great start to the indoor season. ‘Glasgow did a fantastic job of hosting the 2014 Commonwealth Games and it’s great for top class athletics to be returning to the city. Councillor Archie Graham, Chair of Glasgow Life, said: ‘2015 is set to be Glasgow’s Year of Sport and the Sainsbury’s International Glasgow Match will get the action underway in the best possible way. ‘Glasgow will once again enjoy world class competition from an international field of athletes and a team of home favourites for what will be an unforgettable occasion at the Emirates Arena. 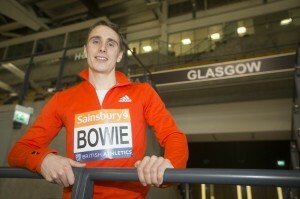 For tickets to the Sainsbury’s Glasgow International Match check the British Athletics website. *Katy Brown is the pick for the Scotland team at 800m in the Women’s match and she came up with a fine run at the BMC Sheffield Open last weekend. The 21-year-old Stewartry athlete clocked 2.04.22 to win the Women’s A race to set an indoor PB at the distance and ready herself for the Sainsbury’s Glasgow International. 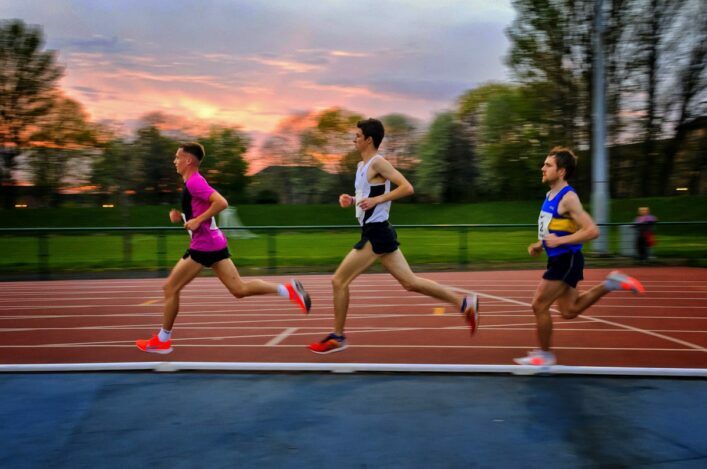 There was another 3000m PB at the same event by Sean Fontana with his 8.16.81 an improvement on his time at the Emirates when winning the Scottish 3000m Champs in the GAA Miler Meet. And Stephen Mackay of Inverness Harriers set an indoor PB of 1.53.40 for the 800m at Sheffield with his race win.